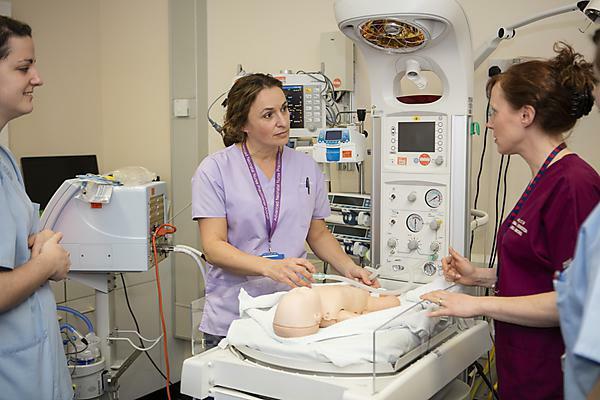 The MSc Advanced Neonatal Nurse Practitioner programme enables senior, qualified in speciality (QIS), neonatal nurses to progress to an advanced practitioner role. The function of the advanced neonatal nurse practitioner (ANNP) role within clinical practice varies regionally and nationally, dependent upon on the individual unit requirements. Currently ANNPs support the provision of neonatal care within all levels of designated service, maintaining high standards of care for infants and their families. ANNP’s provide the necessary education and clinical skills that support the learning and development of both nursing and junior medical staff. They work across inter-professional boundaries and alongside a range of healthcare professions to manage and deliver neonatal care, within a variety of settings.